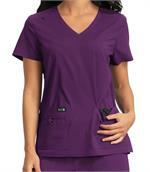 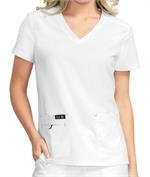 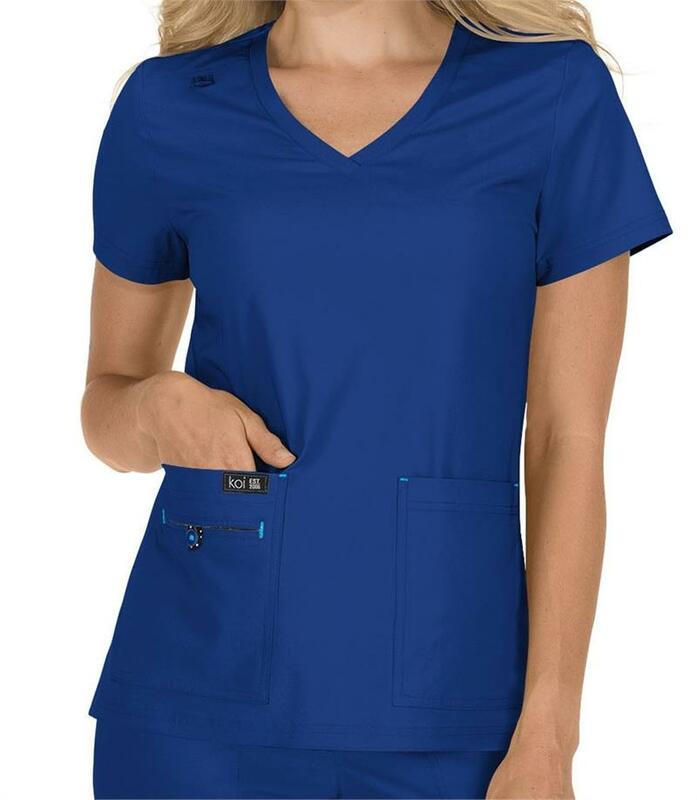 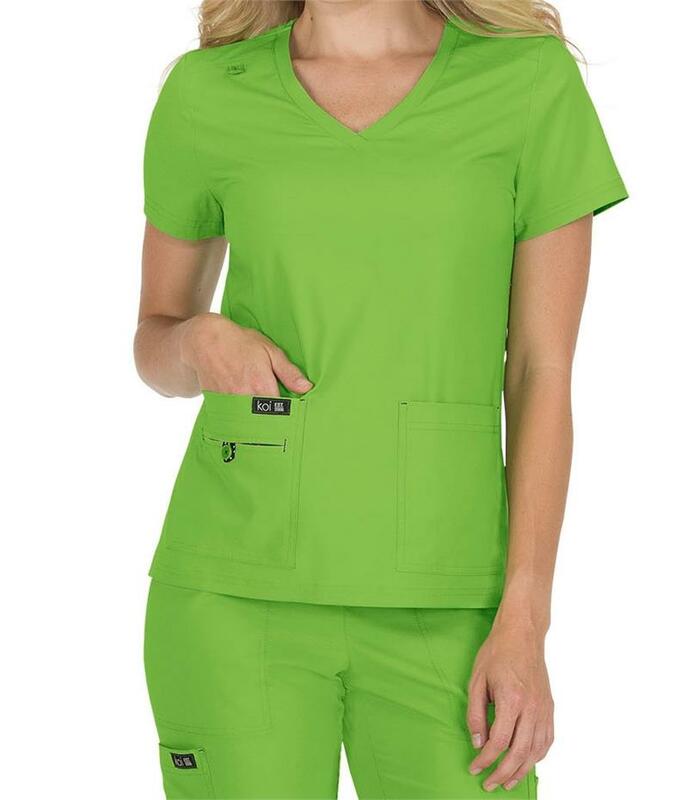 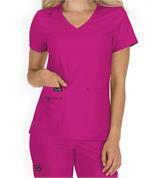 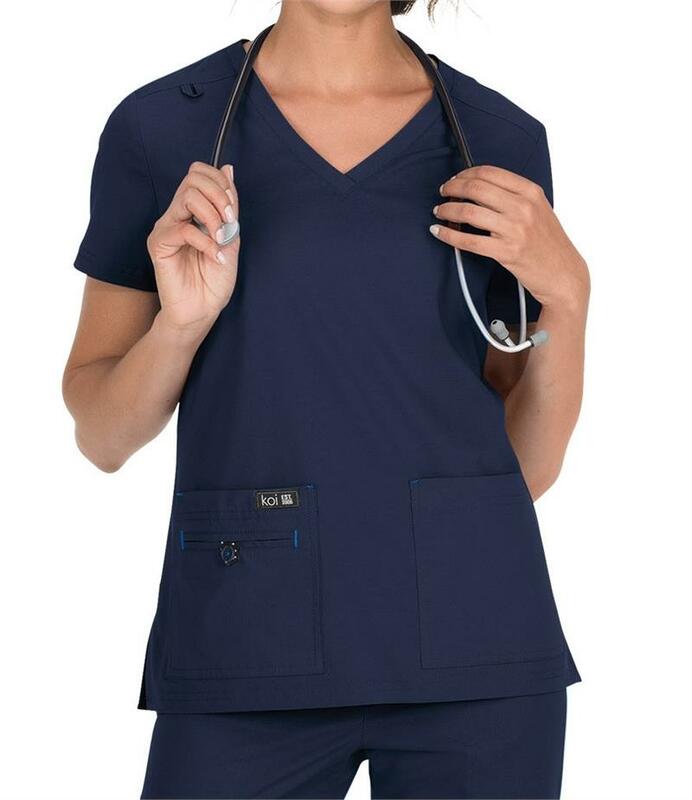 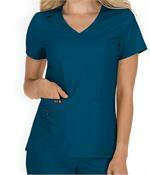 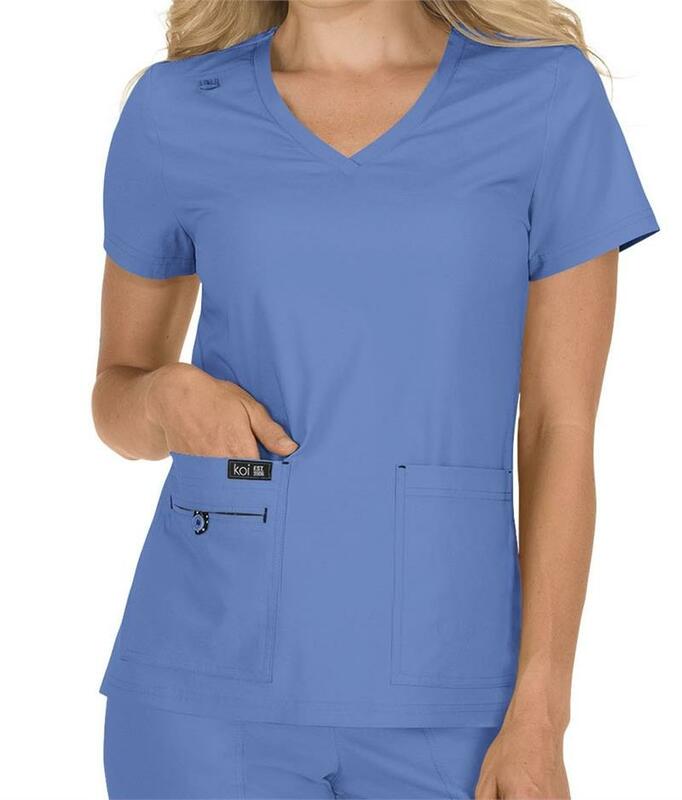 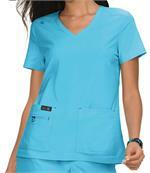 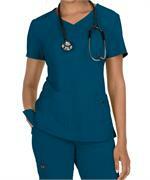 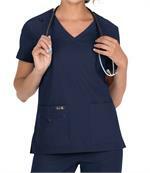 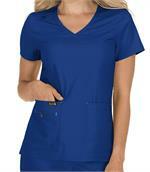 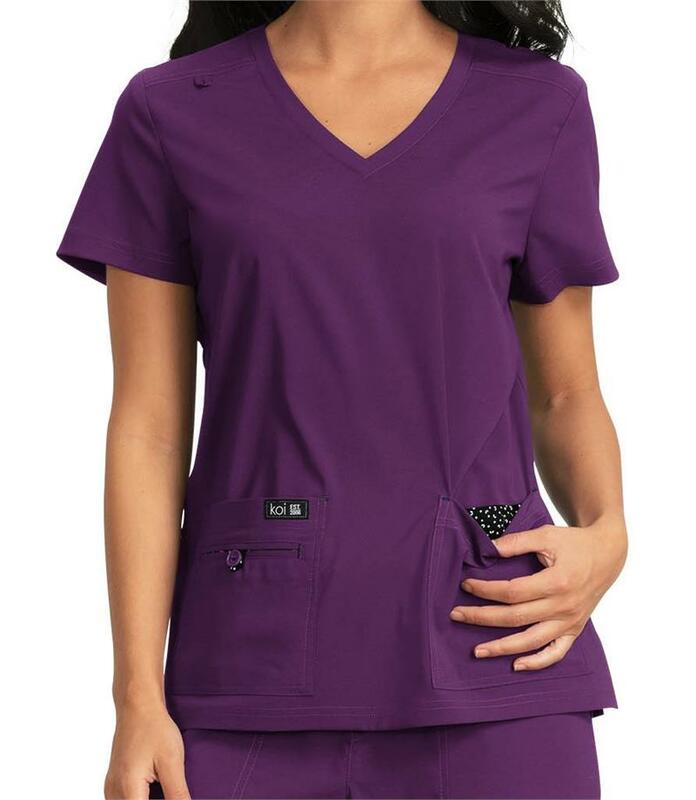 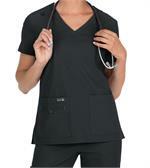 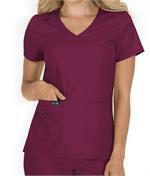 The Koi Basic Classic fit has a v-neck, contrast print facing at neck, badge loop for ID badge. 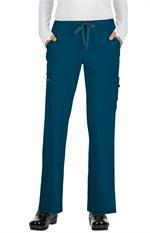 Lightweight, moisture-wicking fabric with four pockets, including hidden cell phone pocket with print lining. 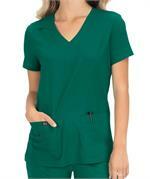 Welt pocket with printed lining. 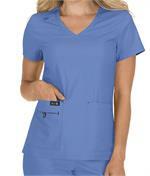 Double-needle stitching at seams, side slits. 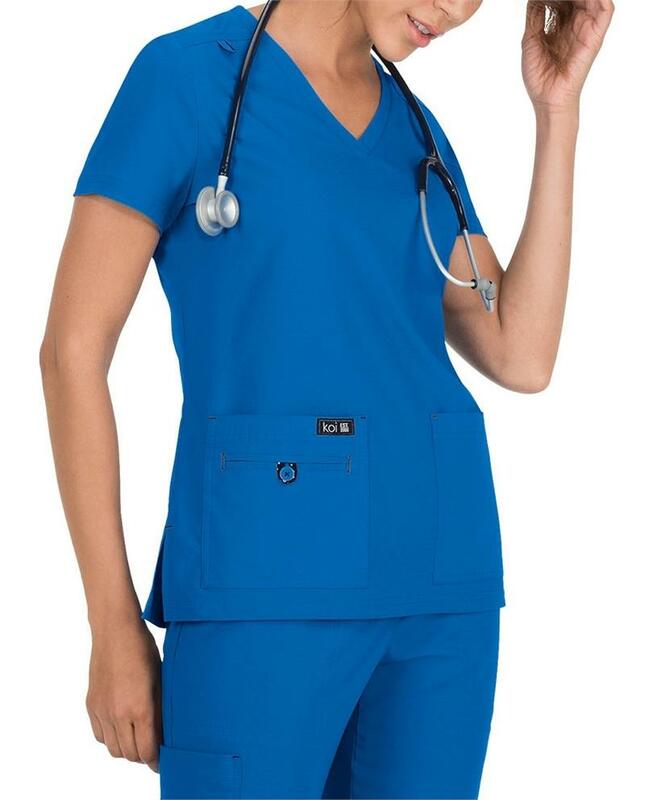 Center back length is 26". Made of 95% polyester, 5% spandex, polyester microfiber stretch, contrast print: 100% cotton sheeting.